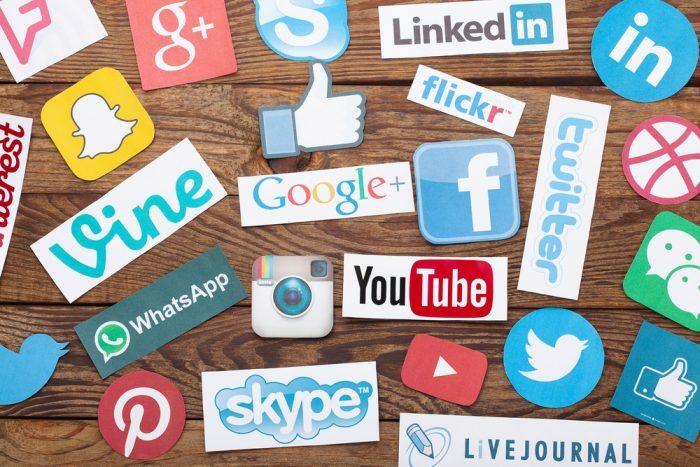 If you are not already using social media to advertise and promote your business, then you are missing out on one of the easiest, most affordable, and most easily accessible ways to build your brand and get your name out there to potential customers. Social media is everywhere. In fact, in 2017, over 80 percent of Americans had a social media profile, and that figure included almost all people in those groups considered most likely to influence purchasers or actually make purchases. How do you know when you are using social media the right way? The answer might not be as simple as you think. With other forms of digital advertising, you are looking at conversion rates to determine whether or not the advertising is making money. With your social media posts, you may not be looking for click-thrus or conversions. Instead, you are looking to create interest and buzz in your project. One example of social media done really, really right is the Twitter account for Wendy’s. Sure, you will see some advertising of their products in that social media account, but they have done better than mere advertising- they have created a character and image for the Twitter account. They interact with people posting on their feed, and have become known for roasts, especially if people ask them about products from fast food restaurant rivals. The result is that people follow the account and responses go viral. That results in more followers. So, when they do use the account to promote any specials or deals, they have a captive audience that is eager to read new Tweets. While you might not have the time or the budget to respond in real-time to any posts on your own social media feeds, you can take a note from Wendy’s about ways to make your social media accounts work for you. They need to have a consistent tone and character. They need to be responsive to your customers. Finally, they need to reference current information, rather than seeming static and unchanging. If you do not have a Facebook presence, then you are missing out on one of the single best marketing tools you can harness for your business. Of popular social media platforms, Facebook may skew to an older audience, but that older audience is where you will find many of your customers. Even if your products are marketed towards younger users, the actual purchasers are likely to be in the Facebook demographic. Facebook has its own advertising system, so you can run targeted advertising campaigns through it, but you can leverage your Facebook page to provide information to potential customers even if you do not participate in Facebook advertising. What makes Facebook unique is that it helps you build a community. Twitter has become a go-to for people looking for the newest information. Twitter often breaks news before formal news networks, and can keep people up-to-date in real time. Endorsements for products and services can trend on Twitter, bringing attention to businesses and immediately increasing demand. Twitter can also be a ridiculously petty environment, with well-known Twitter users using it as a platform for feuds and fights. How you use Twitter is going to depend a lot on your business philosophy. You can use it for straight-up one-directional marketing, but you can also use it as a way to learn more about your customers. Twitter can help you handle public relations disasters, provide instantaneous customer support, and even shoot-down detractors. We can help you establish your Twitter personality and provide you with a steady supply for Tweets to keep your page fresh and relevant. Google+ is one of the lesser-known social media platforms, but with 111 million users, ignoring it is a bad business strategy. Used primarily for commercial purposes, Google+ focuses on building communities. From a marketing perspective, this is fantastic, because the platform is naturally self-selecting, which helps you identify potential customers based on their interests and relationships with competitors or suppliers of related goods. Obviously Google+ is a natural fit for Google advertising and we can craft high quality SEO content to capitalize on this overlap. Instagram became known as the social media platform without words. It was designed to share videos and photos. However, Instagram is more than images. The users on Instagram interact with each other with comments, likes, tagging, and private messages. We can provide you with stock images for an additional fee for your Instagram posts, as well as text-posts and replies for you to use in your interactions with customers. Of course, Instagram is probably best-known for its stories. These stories, which can be a photo, video, or text-based, are posted on your timeline and stay there for a limited time period (24 hours). Similar to a newsfeed, what makes the story concept unique is that it disappears after that limited time period, ensuring that your content is always fresh and dynamic. Creating stories that consistently engage customers and encourage responses from other users is one way that we help you build your Instagram community. Like Instagram, Pinterest is known for its images. However, Pinterest also contains a surprising amount of text-based content. One of the best-known features of Pinterest is that it features a lot of DIY and how-to’s. We can help you create DIY tutorials for your Pinterest followers, which not only capitalize on their interests, but also incorporate your products or services in the tutorials. Pinterest is a great way to provide a secondary community for people interested in your products and services. What do you customers have in common and how can you use Pinterest to help bring attention to those commonalities. LinkedIn differs from other types of social media in several significant ways. As a purely professional social media network, you may be more particular with your social media connections. When we provide LinkedIn content for one of our customers, we stick to the professional platform. This means that we focus on job postings, company updates, professional profiles, and other professional-type content. We give your LinkedIn content a distinctly different feel from your other social media accounts, while still using it as a way to reinforce your brand. Handling your social media content writing can quickly become a full-time job, and, if not done correctly can erupt into a social media nightmare. Contact us today and find out how our social media content writers can craft a campaign that handles all of your social media accounts, by keeping you relevant and up-to-date. We can ensure multiple posts each day, increasing your social media presence, making it more likely you will get shares and followers, increasing your website traffic. We can also help you use various social media platforms to capitalize on any positive news for your company and get ahead of potential negative news. By taking a slightly different approach to each type of social media, we keep your branding consistent across platforms, while also taking advantage of the strengths offered by each platform. Don’t worry if you don’t know how to use social media to promote your business; we do, and we can craft a campaign that fits your budget while increasing your exposure, getting followers, and building your brand.